Universal in-line remote/microphone for answering calls. Don’t limit yourself to music alone. With its universal in-line remote/microphone, the Y20-U lets you take calls too. The Y20-U stereo in-ear’s polycarbonate design is built to be both portable and durable. Easy-to-store pouch for on-the-go travel. Not only are the Y20-U in-ears built from lightweight materials, they also come with a compact carrying pouch that ensures easy, on-the-go storage. Soft silicone sleeves in three sizes (S/M/L). 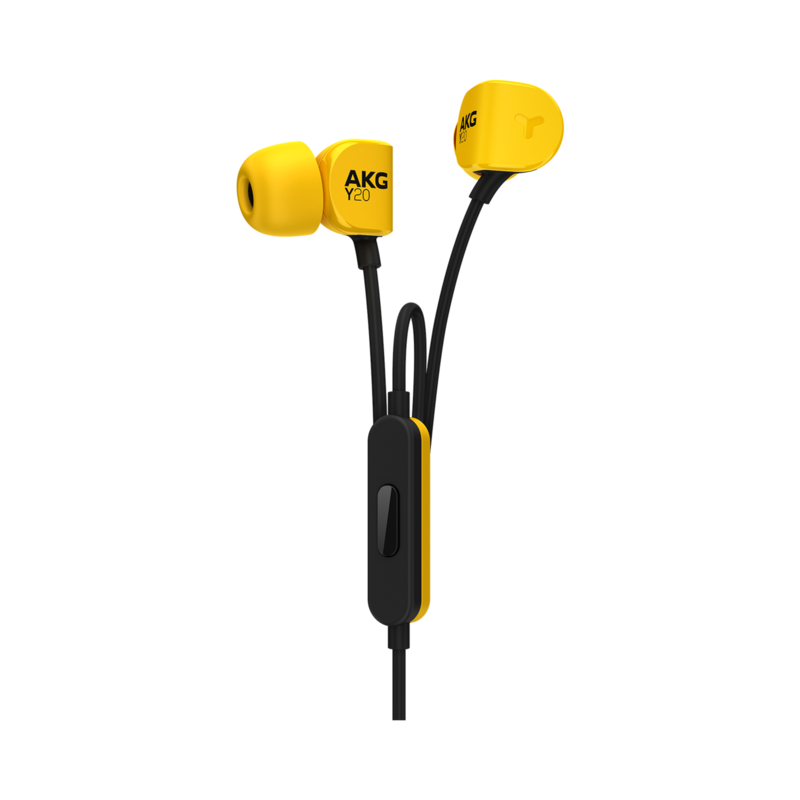 The AKG Y20-U comes with silicone sleeves in three sizes (small, medium and large) to ensure a comfortable fit for anyone who likes listening to music for hours on end. 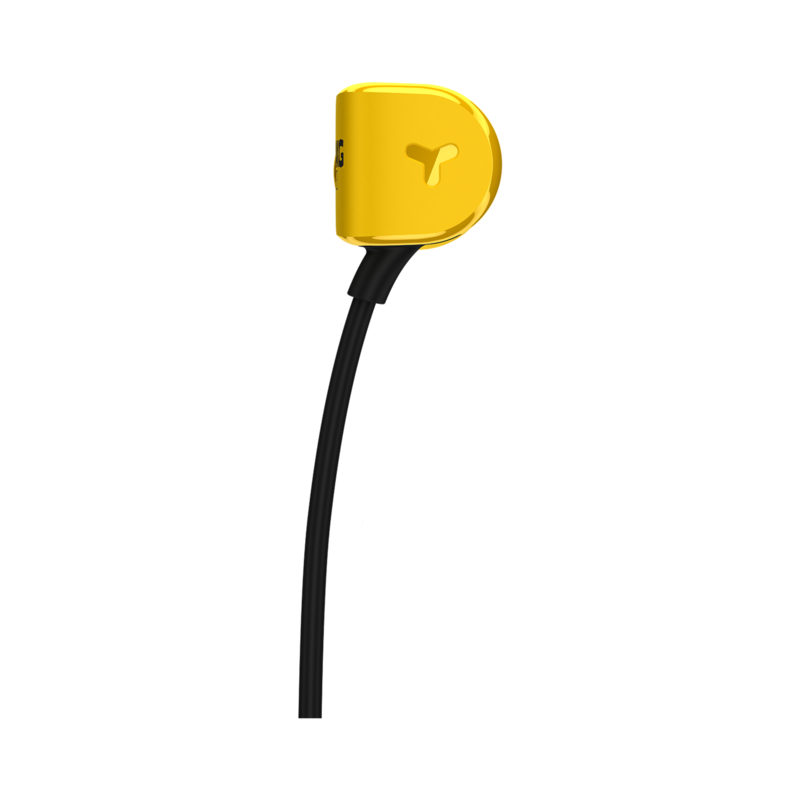 Tilted positioning of the ear-tip optimizes comfortable fit. The AKG Y20-U’s specially angled ear-tips are crafted such that they fit snugly into ears of any size or shape. The Y20-U’s rubber paint finish and fine-matte texture improve its scratch-resistance to a higher grade of professional design. Besides the signature sound quality you would expect from AKG 8mm drivers, the Y20-U yields a few extra surprises of its own. Its integrated universal, one-button remote cable gives you leeway in controlling your music play-list with greater ease. Better yet, it lets you answer calls between listening to your favorite play-lists. 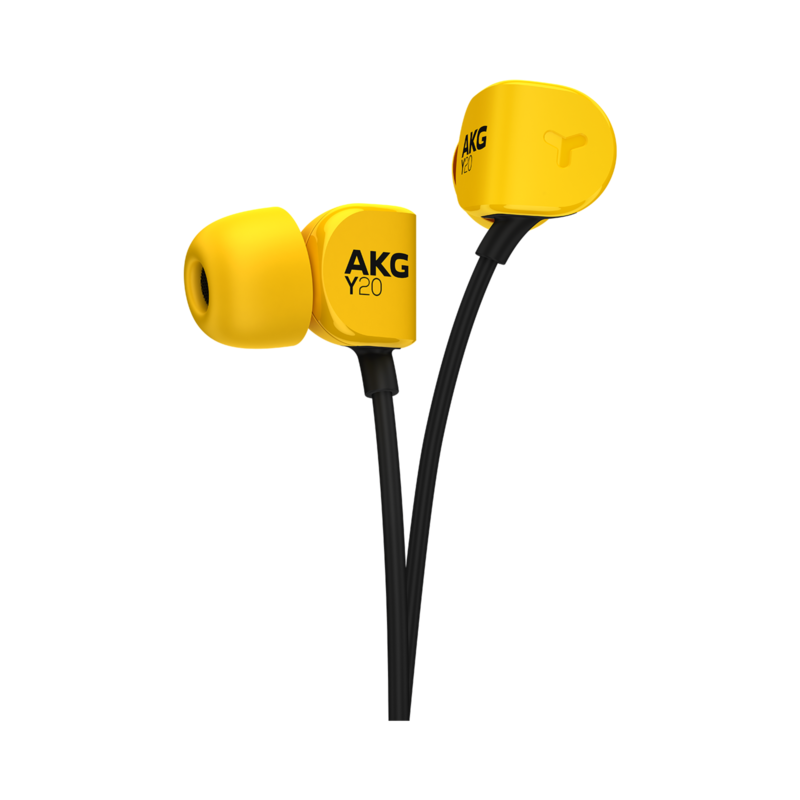 Compatible with nearly any portable audio device, the AKG Y20-U’s tilted ear-tips and soft, three-sized silicone sleeves (S, M, L) fit flexibly and comfortably into any ear.A solid value in terms of sound and durability, its lightweight polycarbonate design is complemented nicely by its smart color-schemes: black, grey, teal, or yellow.